I am SOOOO excited! This is my first Halloween, and I keep hearing about something called Trick-or-Treating where you go from house to house and get cat treats! This is the best holiday EVER!!! They did say something about a costume. I am going to have to think on that. I am leaning on going as a Siamese Cat because, well, you can’t get any better than that!! 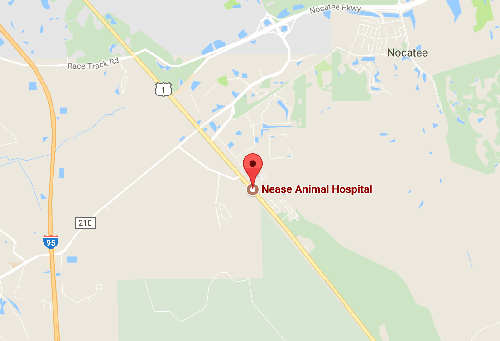 From living in a veterinary hospital, I have picked up a few safety tips though. I keep hearing about what COULD happen to your pets if you aren’t careful, so I figured I’d pass those safety tips along. Make sure your pet only gets pet treats! While I am sure those dogs will eat anything, chocolate and sugary candies are really not good for them. Chocolate is toxic to them, and sugary candies aren’t good for their health at all. 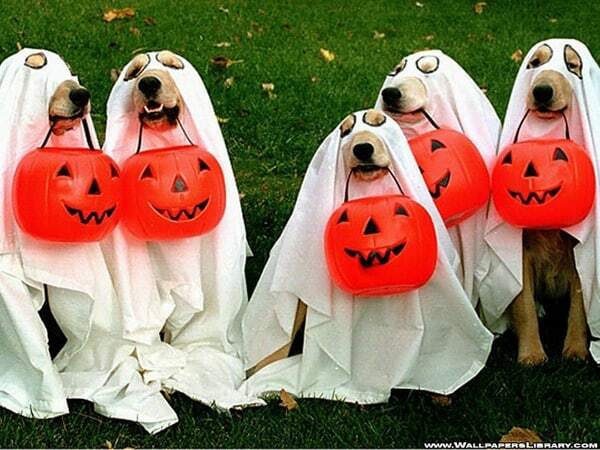 If your dog or cat does go Trick-or-Treating, make sure they only get treats appropriate for them. I personally like Temptations Treats, so a beautiful Siamese cats shows up at your door, that’s what you give her. I would also accept good cat toys, I especially like crinkly fishies and cat springs! If your pets go outside, be sure to bring them in the house for the evening. 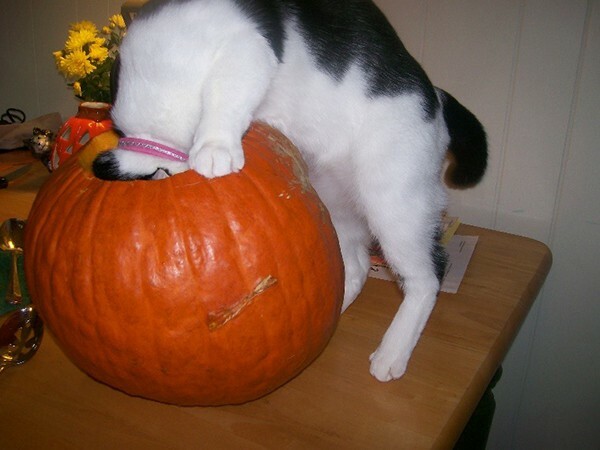 Sometimes people can be mischievous on Halloween, and your pet could be injured or even disappear. All critters should be inside for the whole night! If you have Trick-or-Treating kids coming to your house, it’s probably a good idea to put your pets in a quiet bedroom or their crates for the evening. All of the door knocking and visitors could make them over-excited and they might possibly escape. They are the kind of pets that don’t care for children, it’s even more important to put them someplace where they won’t get upset about all the kids visiting. If you have pumpkins and they are lit with candles, be sure to watch your pets around those, especially cats and young dogs. We…ahem…like to explore, and pumpkins are just fascinating! Most importantly, be sure to take good pictures of your family in their costumes (two legged and four legged) and send them to us for our Facebook page! I love looking at other people’s families on the computer, and I have heard the rest of the staff express enjoyment about that also.